1. Install the client, if you’ve no client installed yet. 2. 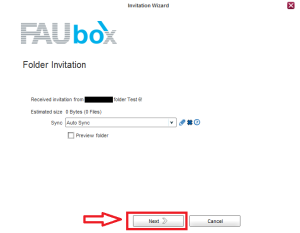 Open the client and click on Show Folders. 3. 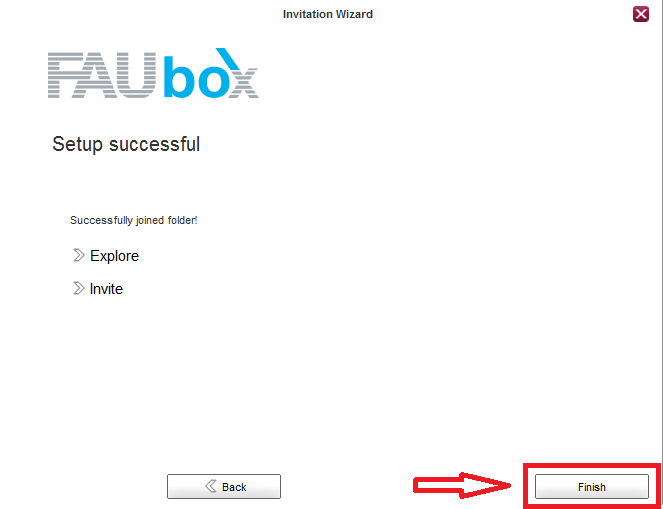 Confirm your invitation by clicking on Next. 4. 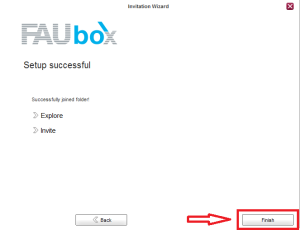 Now the folder setup wizard will open up. 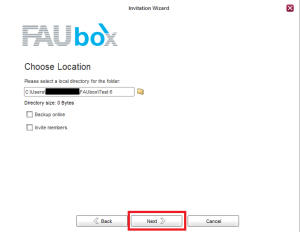 It will automatically recommend to synchronize the folder to a sub-directory of your default folder path, which is usually a directory called “FAUbox” under your user profile. Click on Next to continue. 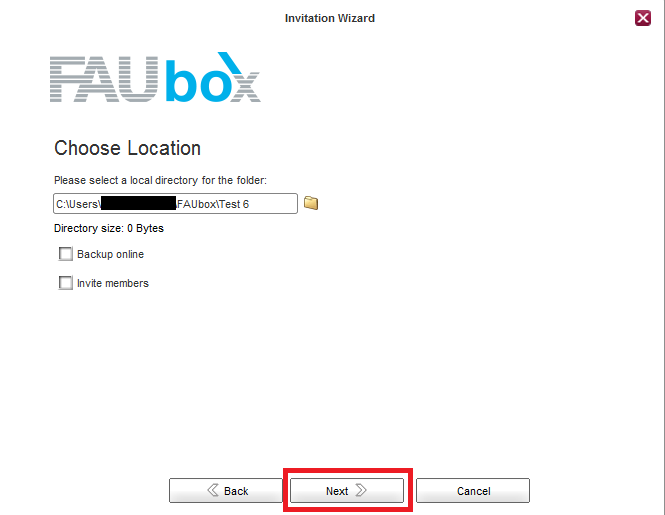 By clicking on the folder symbol , you can select an alternative location. 5. Done. Now the folder will be automatically synchronized to your local disk. 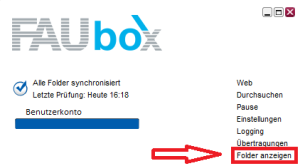 Depending on your rights on that folder, changes to files or sub-directories of that folder will be automatically synchronized to other folder members.